I once beat my uncle with two pawns and a bishop. I don’t know how. He’s the one that taught me how to play. I was only eight. He told me never play for pieces. He said never play piece players. He said piece players think chess and checkers are similar because they use the same board. That’s why they value pieces instead of positioning pieces to checkmate their opponent. Piece players sacrifice pawns because they have more than two. They assume their quantity make them lack quality. 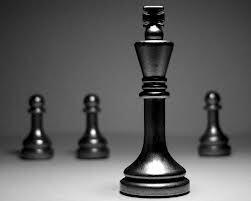 He said pawns aren’t the most powerful; pawns have the most potential, and potential is your capability to change. Then he asked me if I ever heard the saying: The last shall be first. I shook my head, so he changed the subject. He said, “Let’s talk about you.” I was only eight. I had nothing to talk about. I wanted to hear more about pawns, and how something last could be first. But I ended up talking about nothing. We never played again after my victory. Not long after that he went to prison. I never knew the whole story. Who knows the whole story anyway beside the story holder? All I overheard was drugs, somebody owed somebody, and second degree murder. My mother acts like she never had a brother, and I haven’t said my Uncle’s name in eight years. Time flies when you forget. I just won a chess tournament at the library, and I only took three pieces off the board. All three of them were pawns. I haven’t forgotten what he said about pawns. And years after I’m forgotten, when future hands possess the hour glass and the chess piece from my time capsule, I hope they’ll understand potential should never be place in check by time. J. Pharoah Doss was born in Pittsburgh, USA, and attended Geneva College. His writing has appeared in The New Pittsburgh Courier, The Shepherd, and Commonline/The E Journal.